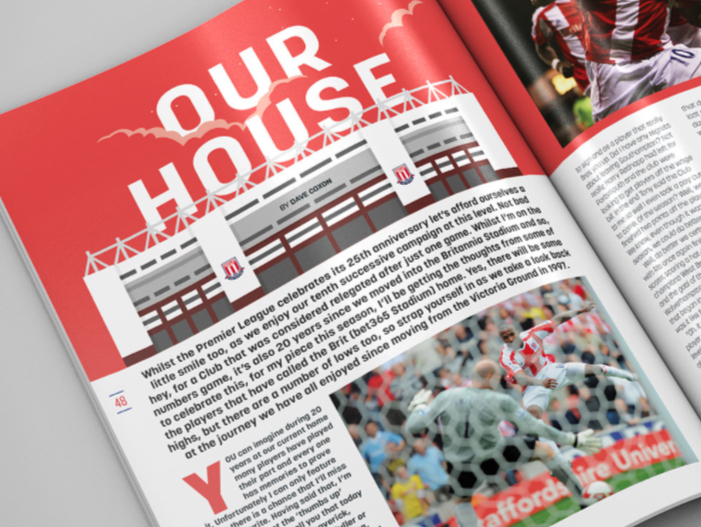 Stoke City have teamed up with talented Liverpool based Graphic Designer Adam Ward for their Premier League Matchday Magazine for the 2017/18 season. 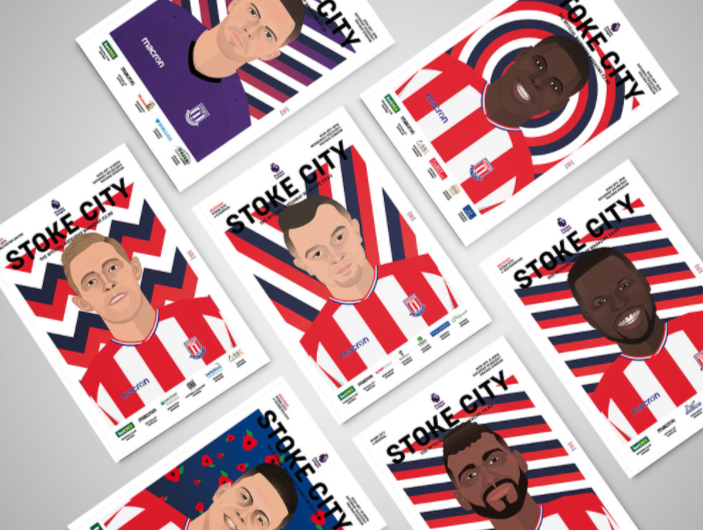 Published in collaboration with Trinity Mirror Sport Media, this latest season edition of the Stoke City Match Day Programme has been designed using vector based illustrations. Via his website, Adam states that the cover illustrations were heavily influenced by the work of Stanley Chow and David Flanagan. For every cover throughout the 2017/18 season, a different headshot illustration of a Stoke City player will feature. If you want to see more of Adam's work make sure to head on over to his website now to see more.